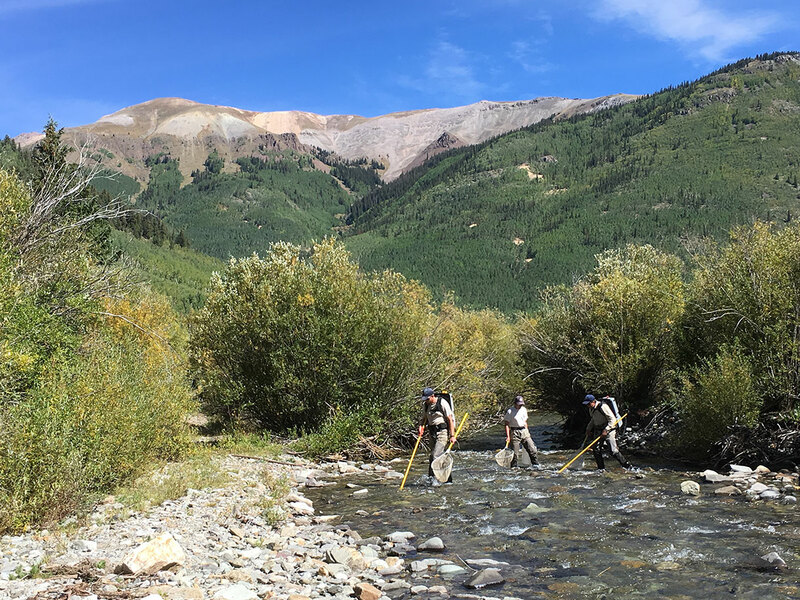 Native and sport fish populations across Colorado are impacted by many factors including habitat alterations associated with changes in stream flows, temperature, and water quality, and host of less obvious biological threats from diseases and parasites. 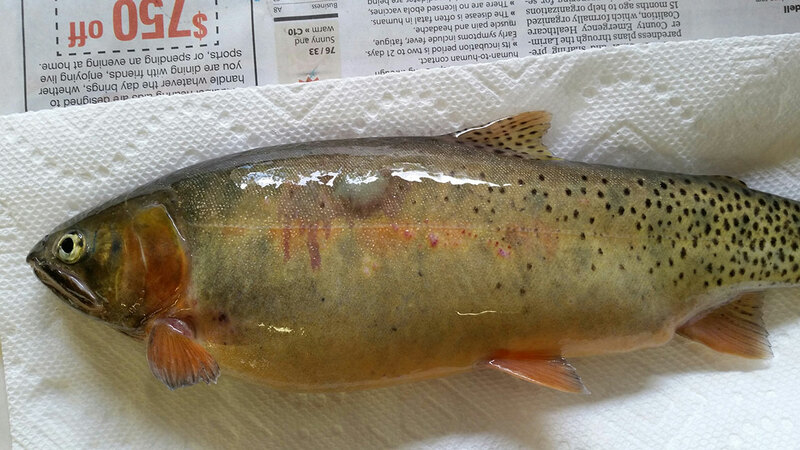 While the prevalence of many fish diseases has declined in recent years due to good management practices, cases of bacterial kidney disease (BKD) seem to be increasing. The causative agent of bacterial kidney disease is Renibacterium salmoninarum, a gram-positive intracellular parasite. The disease is characterized by the presence of gray-white necrotic abscesses in the kidney and can cause mortality in both wild and cultured salmonids. Unlike other common fish pathogens, this bacterium can be transmitted horizontally between fish through contaminated water and vertically from adult to egg. This likely plays a major role in the persistence of this bacterium in susceptible fish populations. 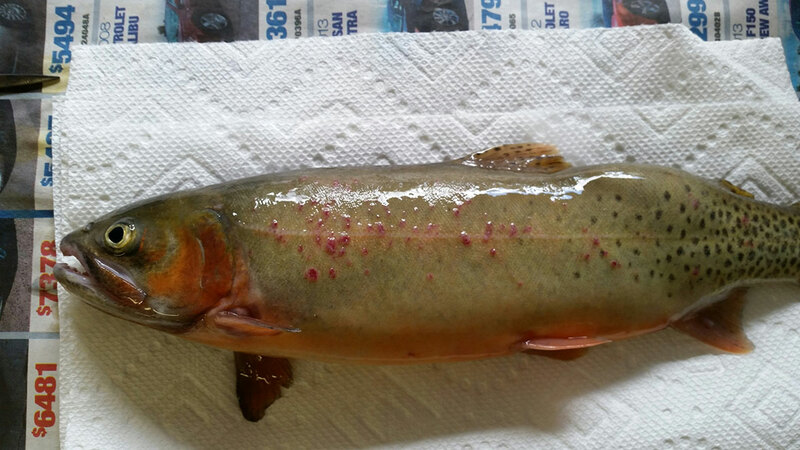 After going undetected in Colorado hatcheries for 18 years, Renibacterium salmoninarum has been found at four state hatcheries, one federal hatchery, and one wild broodstock lake since 2015. The objective of this study was to document the distribution and prevalence of R. salmoninarum in Colorado’s wild and stocked sport fisheries and investigate if fish stocking practices have influenced that distribution. To accomplish that, second to fifth order wild trout streams were randomly selected in each major river basin and total of 68 streams were sampled. To investigate if stocking practices have affected the distribution of R. salmoninarum, waters stocked by hatcheries with recent positive tests for were matched with nearby waters with similar management and a total of 75 different stocked sport fisheries were sampled. Kidney samples were collected from up to 60 fish from all waters and samples were tested by ELISA, real-time PCR, nested PCR, and DFAT according to standard methods. Click on distribution map to enlarge.